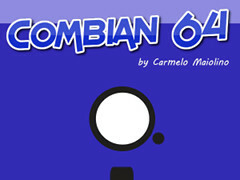 Combian 64 is a Raspberry Pi distribution able to boot your favourite Commodore 8-bit machine in just few seconds. It uses the newest VICE 3 to emulate all the Commodore 8-bit machines. Changes in this version: Support for the Raspberry Pi 3b+ and WiFi. Improvements for the joystick and mouse.